9. Trump's cute smile when he says he could 'totally kill' someone. 8. That they share a passion for bears, dead or alive. 7. 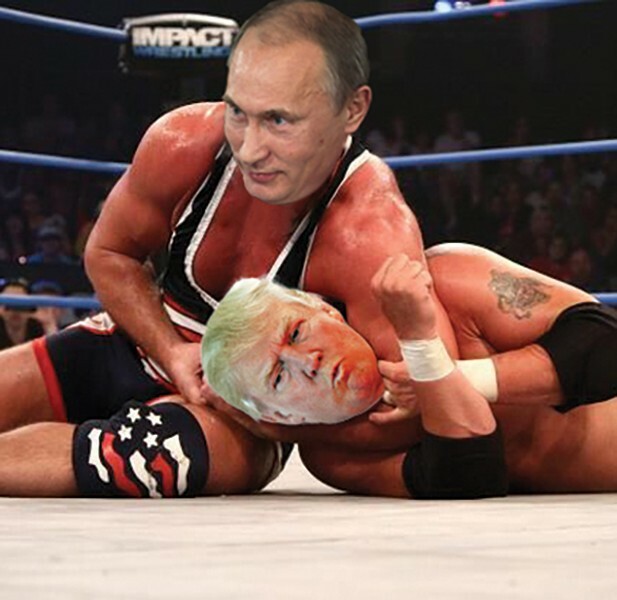 When they wrestle, Trump still cries like a little boy. 5. They both have distinctive hairstyles. Or not. 4. Trump loves Ma Putin's borscht. 3. Putin's thrilled Trump shares his passion for furry Cossack hats. 2. They both spend weeknights crank-calling Barack Obama. 1. Putin's glad he found someone like him, who men despise and women ... uh, also despise.